For someone with five horses, two dogs, three cats, a donkey, a rabbit, and a husband, Chera Hammons sure gets a lot of work done. She stopped by High Plains Morning, with Dr. Eric Meljac of the High Plains Poetry Project, to promote an upcoming reading with an impromptu literary throw down (ahem, a reading). Born and bred in Amarillo, Texas, this High Plains poet now has a reason to celebrate. 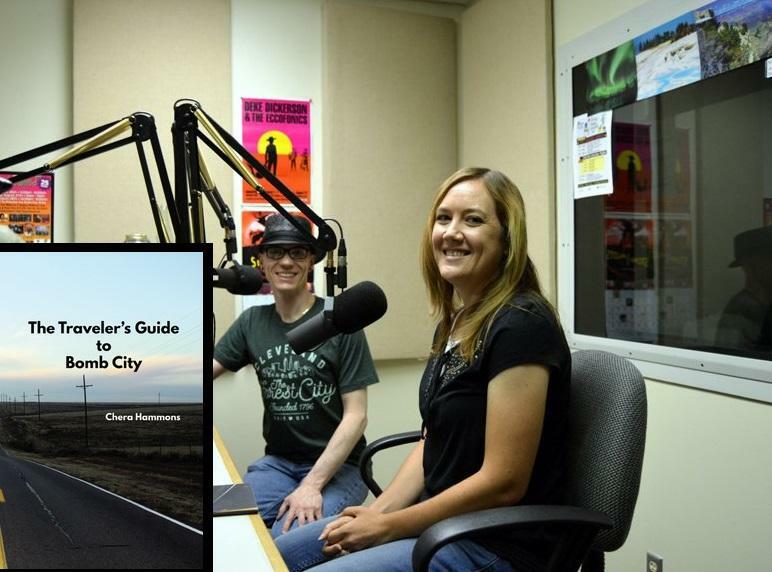 Her most recent collection, A Traveler’s Guide to Bomb City, has recently been announced as the winner of the prestigious PEN Southwest Book Award. It’s thrilling to have access to local authors through this project, so a big shout-out to West Texas A&M’s Department of English, Philosophy, & Modern Languages. Thank you for supporting our region’s incredible talent! To find out more about the High Plains Poetry Project, contact Dr. Eric Meljac at 806.651.2486 or online via email. To learn about Chera Hammons and her work, visit her website. You can also stop by Burrowing Owl Bookstore for a copy of her book. They’re located at 419 16th Street in Canyon, TX.